First aid training for businesses is an essential legal requirement. As an employer you’re required to have safety measures in place to protect your employees and to prevent any accidents or injuries, and you need to have staff members undergo first aid at work training to offer assistance whenever necessary. 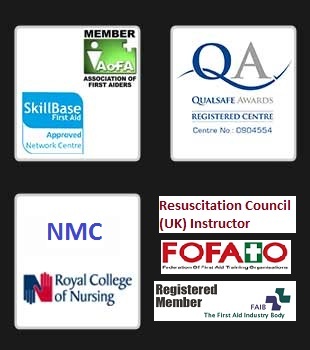 We believe passionately in offering the best quality, best value first aid training courses. All of our trainers are highly experienced healthcare and training professionals, able to deliver excellent courses in an enjoyable and educational manner.